You’ve finally decided that now is the time to take you family on that magical Disney trip. You’ve spent days, or weeks, even months, reading about planning a Disney vacation online and how to best plan it. But how much will this trip cost? When can you afford to go on this vacation? Travel expenses are going to vary depending on your travel style, that’s why it’s important to start making a budget sheet early on. What is your Disney vacation really going to cost you? When planning a Disney vacation, the mere idea of the cost can seem overwhelming…before you even know what it’s really going to cost. In fact, a lot of families don’t even start planning a Disney vacation because of what they think it is going to cost them. I created this worksheet for two reasons. To help you plan your Disney vacation and keep your expenses under full control. Be fully aware and then find ways to cut down the numbers that just seem ttoo high. Help families guesstimate what their Disney vacation is going to cost them in order to figure out if it truly is possible. My favorite part about clearly outlining my vacation’s cost is then going back through the budget and finding ways to save money. The excel sheet is set up to populate and add numbers automatically. Use websites like Kayak.com, TripAdvisor.com, and AirFareWatchDog.com to look for bargains. You can even set alerts for your travel period. These are the things that catch you by surprise so make sure to research things like your resort and their parking or resort fee. Save up on breakfast, snacks, and drinks by getting a few things from the grocery store. Peak travel times mean higher prices on everything, including food, flights, hotel stays and more. Pack smart to avoid having to buy expensive later. Bring $1 ponchos to avoid the $12 (or more) Disney World ponchos. For a family, driving can be exponentially less expensive than flying. 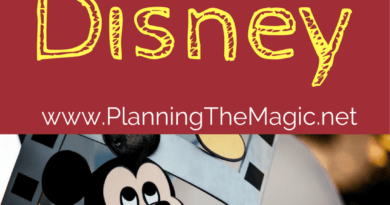 ← How Did These Disney Blogs Become The Best? Find out. I love this. The first year we went, I bought a ton of “souvenirs” before I went so that saved me a ton of money when I was there. Very good tips and on a personal note I like tripadviser.com for all the trip hacks.Will surely try to have a look at the other websites that you recommended. I must admit that I have never been to Disney and never plan to. These are some great tips for those who want to go but are on a budget. The costs can really add up there. Good tips to try to keep within a budget. Very helpful tips for money saving 🙂 We all know how costly everything at Disney is haha! We love visiting Disney, but it really can be get to be quite expensive if you don’t do your research and plan well. Having a printable like this would be so very helpful! Thanks for your tips! May I add bring sneakers and practice a long walks because it wiol help to save you a lot during your trips. And its a good exercise. I think it is important to set a budget when you travel. I am hooping to go back to Disney this winter. I will have to try these tips. These are very good tips! We ended up spending a lot more than we expected on food and drinks, so shopping ahead of time would have been smart. 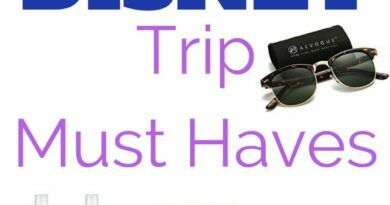 This is perfect for people who are planning a trip to Disney! I think it’s really amazing that you did this, it’s good to know how much you’ll need and what you can do about it. Planning a Disney vacation is definitely overwhelming. This is a handy resource for those planning one! Excellent ideas here! 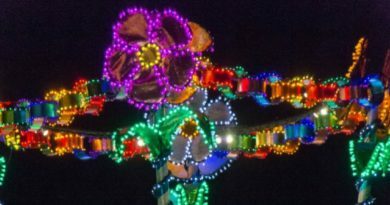 Hey, even though I’ve lived in Central Florida all my life and we go to Disney often, you brought out some more points! Thank you! I am not sure when can I afford to visit Disney, but really it’s on my bucketlist. I will take note of this so if that day comes, I will not be having a hard time planning my dream trip. It’s def expensive but there are ways to cut the costs. So worth it. Good luck!!! We are visiting Disney World in August. It is going to be a little expensive, but our kids are going to love it. These are awesome tips, Disney is expensive for everyone so finding ways to save is awesome!! Disney on a Budget is an awesome idea, because it’s SO expensive!! I remember when tickets were super super cheap, now they’re all over $100! It’s ridiculous! My grandma was telling me about the prices when I was a kid. No wonder we stopped going so much. Packing smart and bringing your own food are really great tips! Disney can be so expensive but the memories are definitely worth it. Thanks for the great cost reducing tips to help make a Disney trip possible!